Surprising news arriving from the camp of beloved industrial metal band STATIC-X. The surviving band members from the band’s 1999 platinum selling début full-length album, ‘Wisconsin Death Trip‘ – bassist Tony Campos, guitarist Koichi Fukuda, and drummer Ken Jay – have joined forces once again to release a new album. That album, ‘Project Regeneration‘, is expected to arrive in the spring of 2019, and will coincide with plans for a world tour to celebrate the 20th anniversary of the ‘Wisconsin Death Trip‘ release. The band plans to perform the majority of that introductory album at each show, while headline dates will serve as memorial events to honor late front-man Wayne Static, who passed away four years ago. More information on the world tour and other dates will be coming soon. Wayne Static (aka Wayne Richard Wells) passed away on November 1, 2014. Details for the ‘Project Regeneration‘ album reveal that a multitude of unused vocal performances and musical compositions were left after Wayne’s passing and will be used. The three musicians from STATIC-X’s past aren’t the only ones returning to undertake this ambitious project, as the band’s longtime producer, Ulrich Wild, will helm the new record. The recruiting of the guest vocalists is being handled by than SiriusXM‘s Jose Mangin, who is working alongside the band as one of the executive producers for ‘Project Regeneration‘. A specialized pre-order campaign has been created for fans and advance contributors, whose names will appear in the liner notes of the new record. Additional special pre-order package options are also available, including ‘Project Regeneration‘ merch bundles and several old school STATIC-X merch items to commemorate the 20th anniversary of ‘Wisconsin Death Trip‘. Find all those offers and pre-order options HERE. 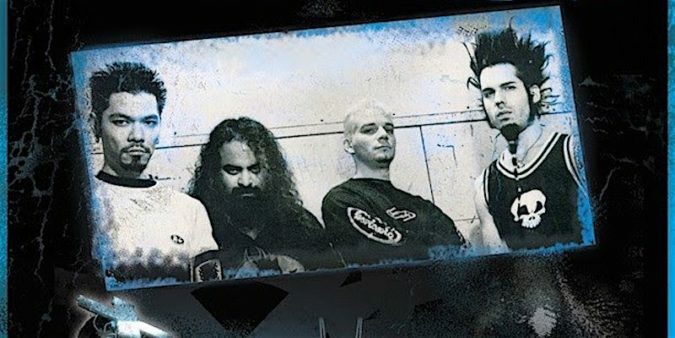 STATIC-X plans to do multiple video updates and a series of Facebook Live chats over the next few months to keep the fans involved as the process continues to unfold. Check out the video trailer from STATIC-X‘s Tony Campos below. Further developments, as well as any touring announcements are expected in the coming months.